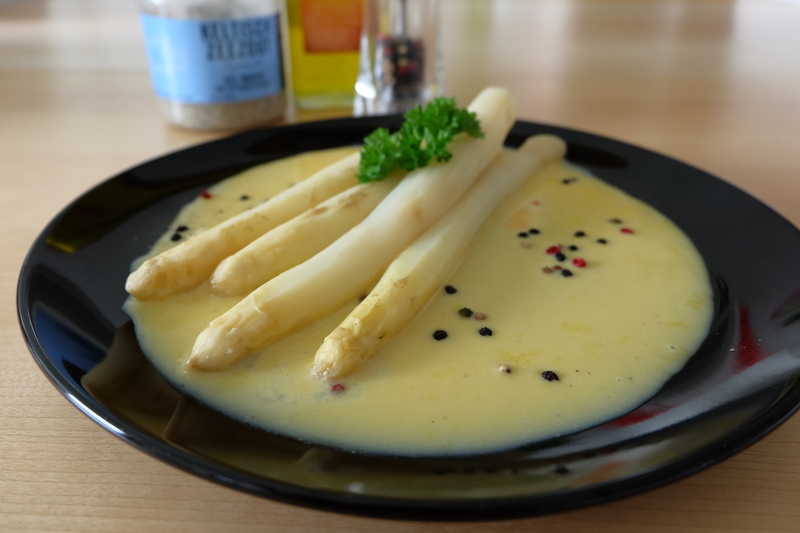 Most people know asparagus but those outside of Northwestern Europe probably do not know about white asparagus. To begin with, although the two are the same vegetable, they are culinary-wise completely different! Asparagus itself is a perenial plant native to Northwestern Europe. Only the young green shoots are eaten, because once the shoots grow older the taste turns woody. Green asparagus are crunchy and light, so much that Roman emperors were crazy about this new vegetable from the Northern frontiers of the Empire. 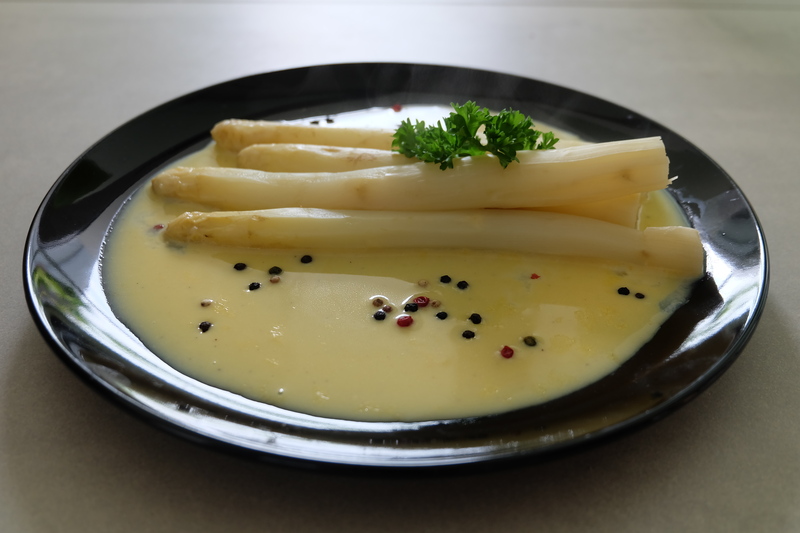 White asparagus on the other hand is a recent phenomenon. They were probably first cultivated in France or Belgium in the middle of the 1600s, using a blanching technique that piles soil onto young asparagus shoots such that they would never see light and never develop chlorophyll. Growing white asparagus is labour-intensive as the shoots should never be allowed to dry up and must consistently be doused with water. 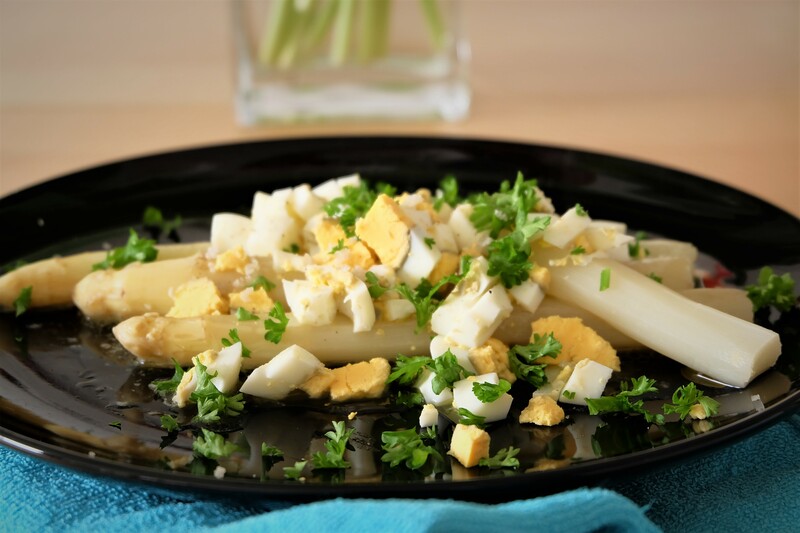 Also, top-grade white asparagus demands a high price – the thicker the white asparagus – the more expensive it is. 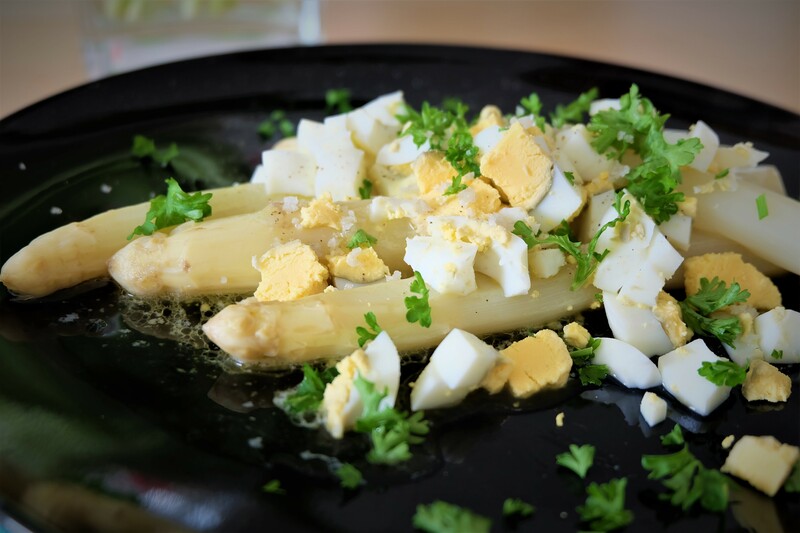 Any white asparagus thicker than 12mm is considered its weight in gold. 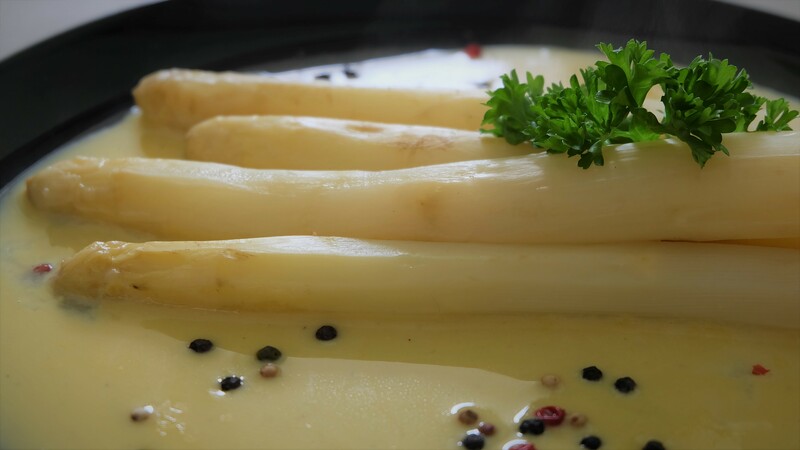 White asparagus season runs from May all the way to 24 June. During this time, asparagus lovers indulge in making their favourite recipes out of this exclusive vegetable. 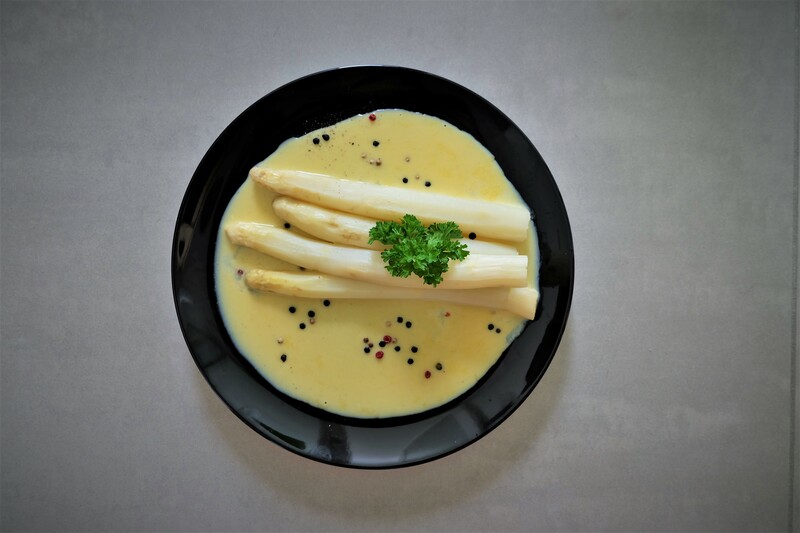 Good white asparagus is not only extremely rich and creamy in smell, taste and texture, it has a warm aroma that blends amazingly well with butter and egg. I’m introducing two recipes here, one Flemish and the other German. Plus a soup made out of the loose ends of the asparagus. Enjoy! Boil a pot of water and cook your asparagus for about 20-30 minutes. Meanwhile, melt your butter in a small saucepan and add salt and pepper to taste. Mince your parsley; Cut your eggs into tiny pieces. Place your cooked asparagus on a serving plate, pour the hot butter over it. Garnish with eggs and parsley. Serve hot! In a small saucepan, add 2 tablespoon of water to 3 egg yolks and stir it into an smooth mixture in a bain-marie. Do not allow the mixture to boil throughout the whole process. Slowly add the butter and stir, such that the sauce is rich and smooth. Add salt and pepper to taste. Slowly add lemon juice to taste, do not let it overpower the butter. 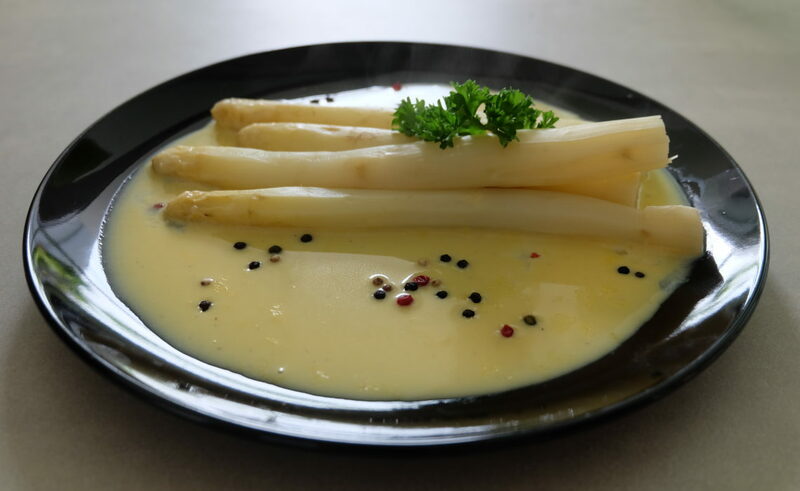 On your serving plate, pour the Hollandaise sauce onto it, then place your cooked white asparagus in the sauce. Garnish with parsley. Serve immediately. 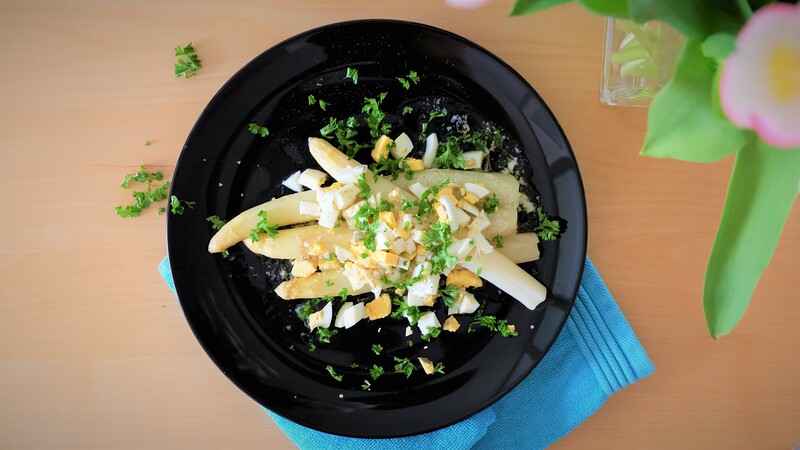 It would be a waste to let the peels and the loose ends of the white asparagus go to waste. For such an expensive vegetable, everything should be used! So, traditionally, people use these to make a soup. 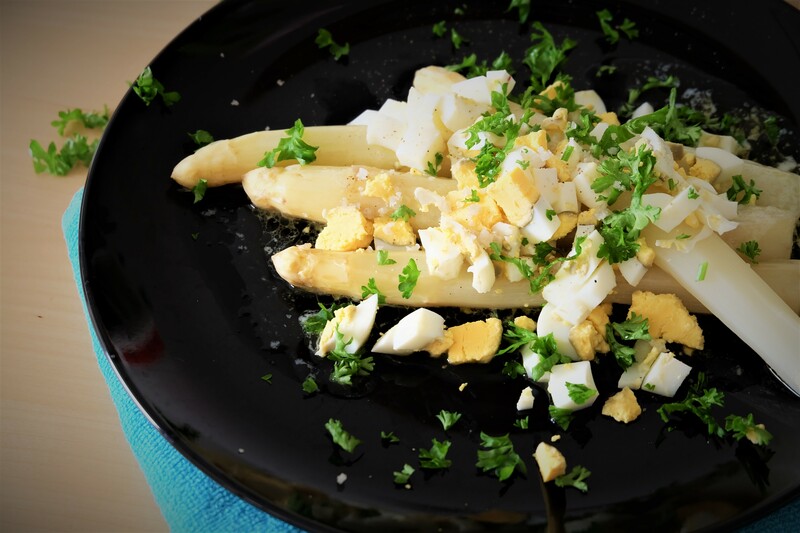 In a casserole, melt the butter and stir-fry the white asparagus remnants until soft. Add the plain flour and continue cooking for 5 minutes. Add the stock and bring to boil. Then let it simmer for 30 minutes. Using a soup mixer, mix the soup for 5 minutes. It is normal that it will not mix up all the peeled skin. Run your soup through a fine sieve to remove all remnants. Bring your sieved soup back onto the stove on low heat then add the cream. Once it simmers, add salt and pepper to taste. Serve piping hot!